Ukrainian President Petro Poroshenko called on Norway to join an international campaign to free Ukrainian political prisoners who are held in Russia and occupied Crimea, according to Poroshenko's Twitter page. The Head of Ukrainian state, in particular, calls for assistance in the liberation of Oleg Sentsov and Roman Sushchenko. "I urge Norway to join the international campaign to free Ukrainian political prisoners in the Russian Federation, including Oleg Sentsov, Roman Sushchenko, Crimean Tatar activists and Ukrainians who have been in Russian prisons for many years only because they remained patriots of Ukraine," he wrote. 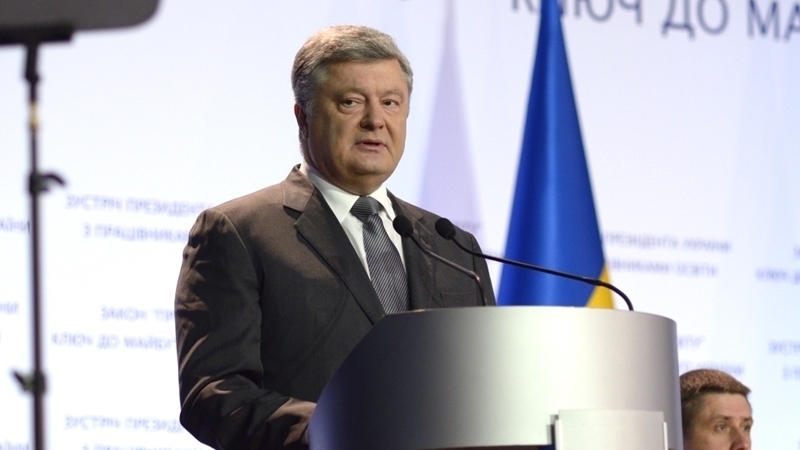 Earlier, Ukrainian leader Petro Poroshenko, called on President Putin to release Ukrainian political prisoners in telephone conversation. On June 15, the Sejm of Poland adopted a resolution demanding the release of all Ukrainian political prisoners in Russia. Polish MPs called for the release of Oleg Sentsov. Also Oleksandr Kolchenko and Roman Sushchenko were separately mentioned among those illegally convicted in the Russian Federation.